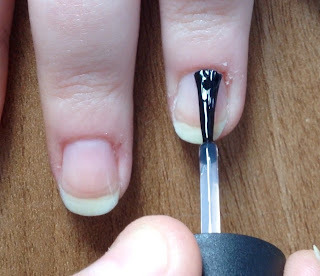 Then paint all of your nails black. 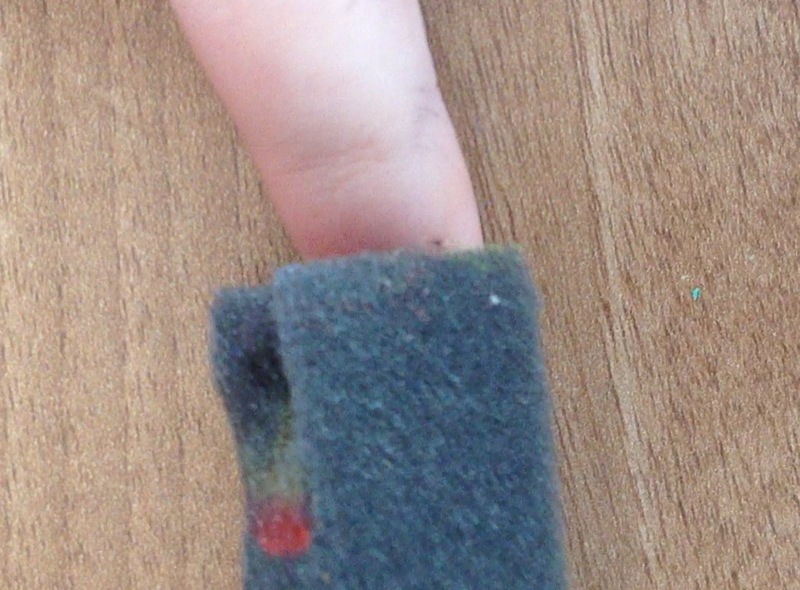 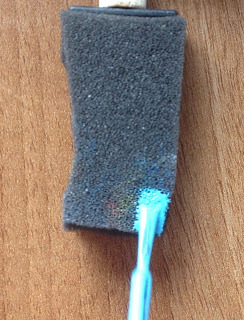 Using a sponge (I an an art sponge but you can use a make-up sponge or a kitchen sponge), paint a small section of the sponge blue. 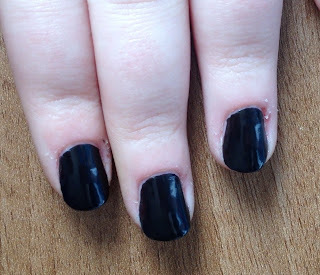 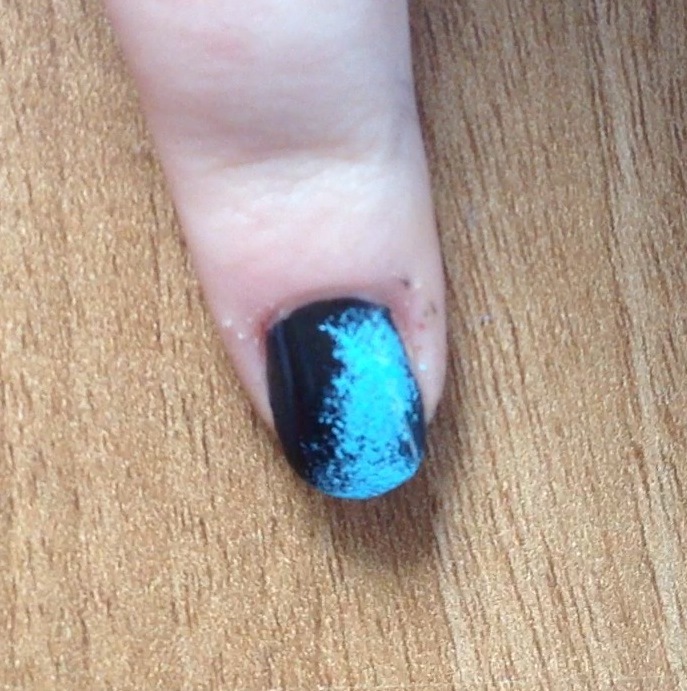 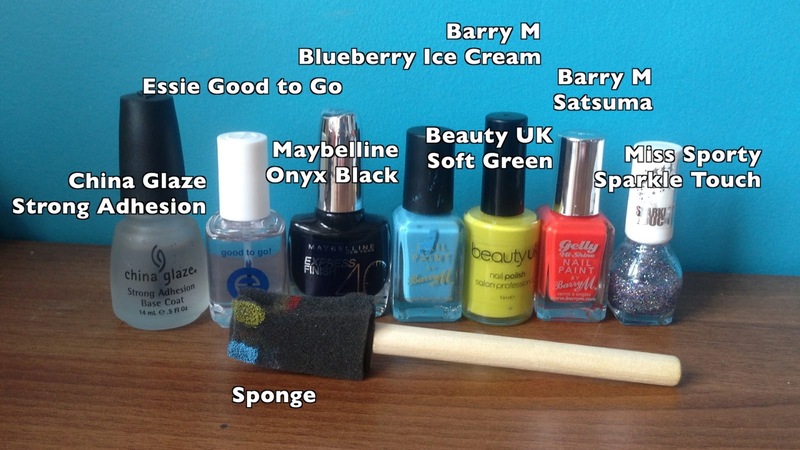 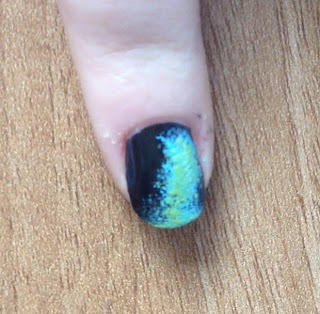 Then dab the blue onto the nail (not covering the whole nail). Then repeat the sponging process with green and then orange, each time leaving some of the previous colour showing. Then apply a glitter polish. 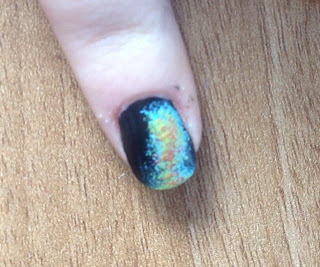 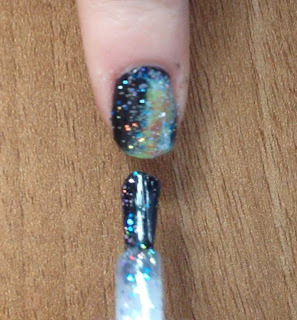 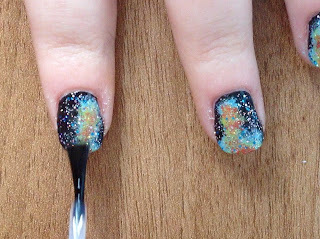 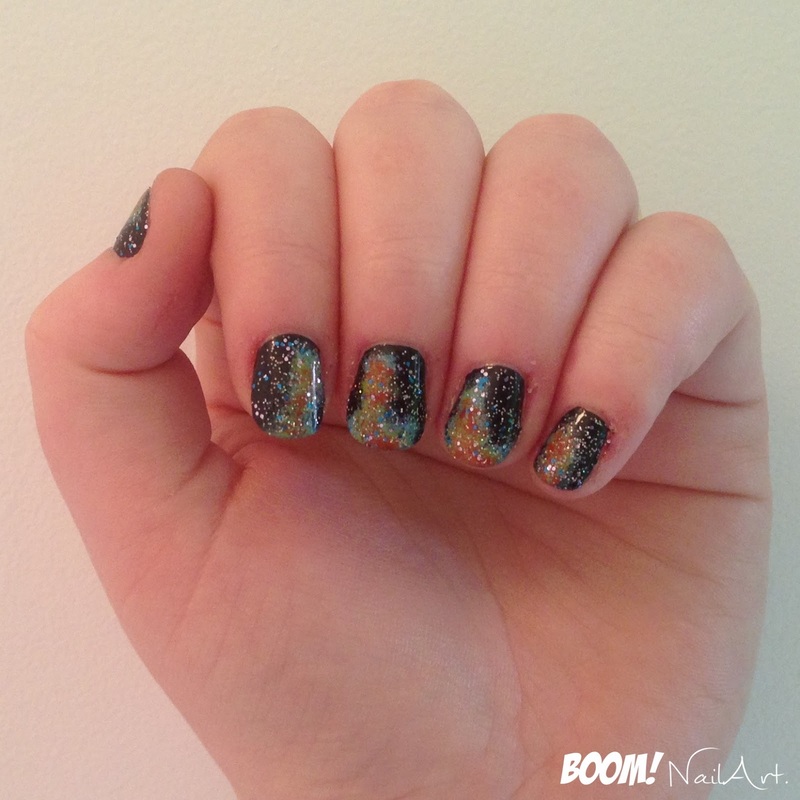 Create the galaxies in different shapes and size on each nail.